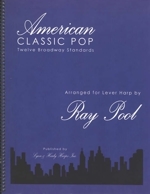 “In ‘American Classic Pop’ our Broadway heritage sings through the harp. The lyrics and melodies of these songs are the core of our sentiment…The works of George and Ira Gershwin, Cole Porter, Rodgers and Hammerstein and many others are expected selections for today’s performers. Harpists are not excepted…These are the soul of ‘American Classic Pop.’ They will be with us for many years to come. Concerning notation for the lever harp—shaped notes are provided in the exact locations where levers must be moved. 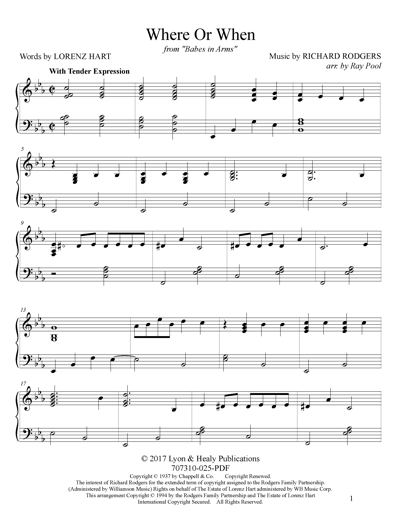 A diamond shaped note head accompanied by an accidental will direct the player to make an adjustment at the appropriate time…A lever harp tuned with the open strings in the key of E-flat Major will provide any accidental or key signature required in this collection.